Dead & Company is coming to Camden, NJ for a two-night stand in June as part of their 2018 Summer Tour. The band will perform two music sets drawing from Grateful Dead’s historic catalog of songs on Friday, June 1 and Saturday, June 2 at BB&T Pavilion. Tickets for both shows are on sale now. 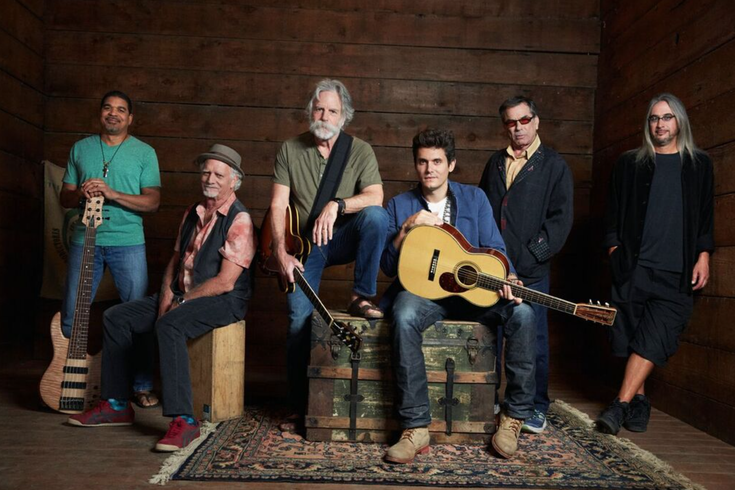 Formed in 2015 when the Grateful Dead’s Mickey Hart, Bill Kreutzmann and Bob Weir teamed up with John Mayer, Allman Brothers’ bassist Oteil Burbridge, and Fare Thee Well and RatDog keyboardist Jeff Chimenti, Dead & Company has quickly become one of the most successful touring bands of the decade. Performing for more than a million people over the course of three record-breaking U.S. tours, this unique band continues to draw praise from fans and music critics alike. Purchase your tickets to see Dead & Company at BB&T Pavilion now.